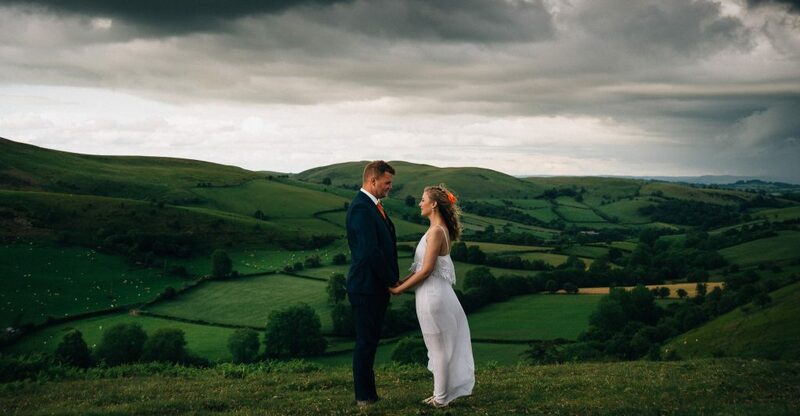 Tom and Natalie got married in Rhulen (Wales), in the littlest of white chapels, surrounded by hills and valleys; it felt intimate and very close to nature, just as they wanted. It was a bright & colourful outdoor English fete style wedding, with lawn games, hampers and hog roast and last but not least, ceilidh for the party! 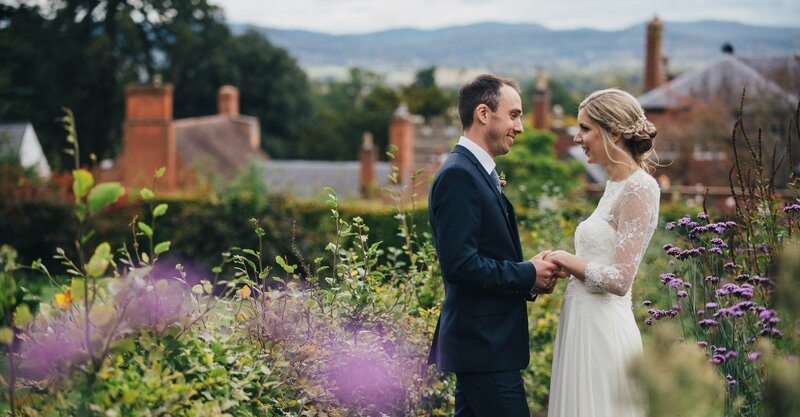 Martin and Natalie got married on a lovely October day at Homme House, a 18th-century country house in Much Marcle, Herefordshire, close to the borders with Gloucestershire, Worcestershire and Powys. 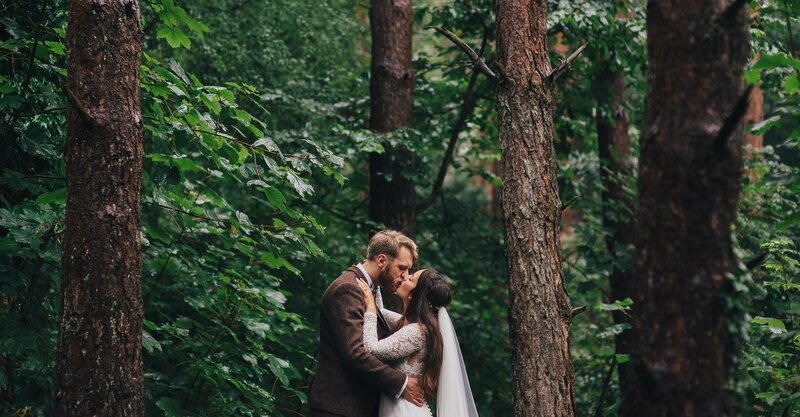 The place suited them as a couple and their wedding down to the ground: a cozy and homely feeling inside, and a desire of wanting to freely roam through their vast gardens outside. I would not be exaggerating at all if I said their wedding was as relaxed, elegant and romantic as you can imagine. 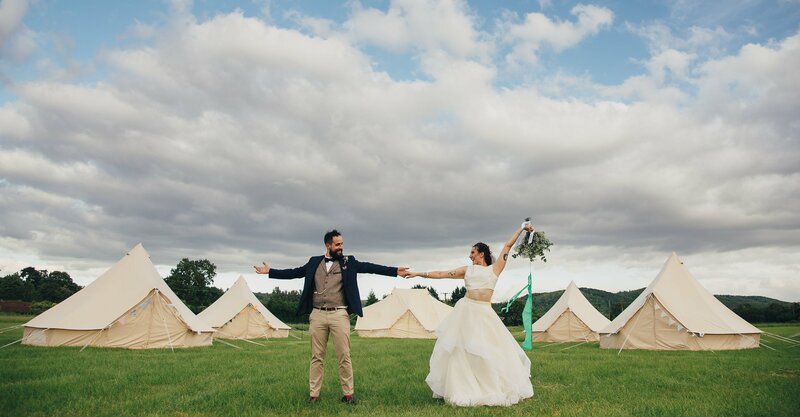 Pete and Millie had their alternative outdoor wedding on a gorgeous sunny spring day at House Meadow, one of the newest wedding venues in Herefordshire. They had a personalised ceremony held by a friend, which was a truly heartfelt moment. I think the word "emotional” is the one that best represents their day, but I will let the photos tell their story better than I ever could. To match Soren and Tanya's vision for their engagement photos, we decided to go south to the stunning Pembrey Country Park in Carmarthenshire. It was a rather cold October day but they were all smiles and full of ideas for things to do; they brought two outfits with them and we decided to start with a Woodland session first, then go over to the beach and take some photos of them by the sea. Pete and Sylvia’s woodland wedding in Wales was one those downright magical, down to earth, warmth & joy filled, chilled, filled with family & friends, yet intimate weddings that you tend to only come across in blogposts of destination wedding photographer’s websites.